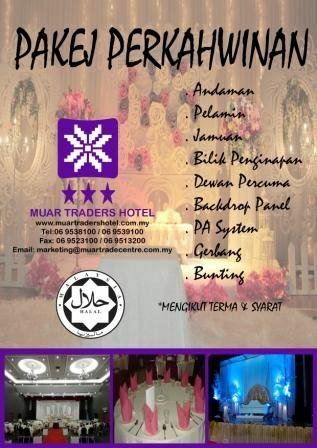 Muar Trade Centre & Muar Traders Hotel - Muar Trade Centre & Muar Traders Hotel provides hotel and meeting place service in Muar, Johor, Malaysia. 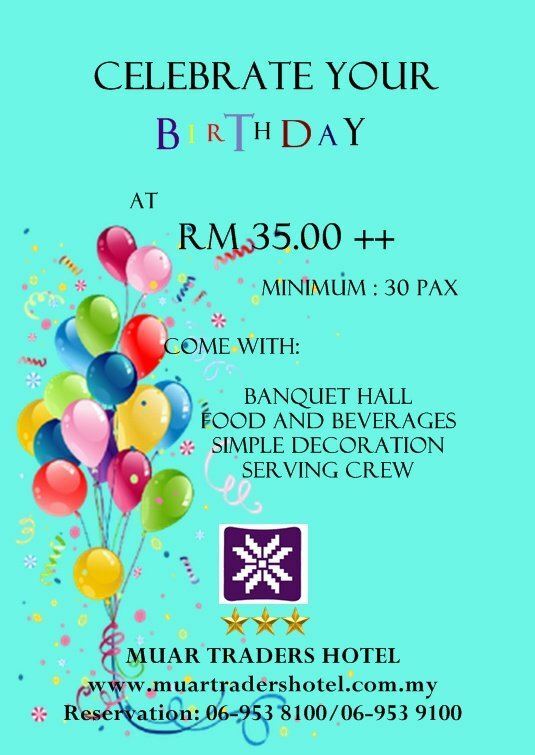 We are now a MICE (meeting, incentive, convention & exhibition) centre. 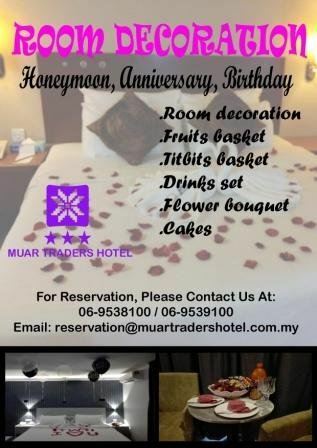 Friendly service, warm hospitality, comfort and affordable rates are hallmarks of the Muar Traders Hotel experience. Each room is equipped with modern amenities such as color TV and satellite channels, IDD phone, broadband internet access, air-conditioning, 24 hours security, ample parking space and beautiful view. Guests can have their breakfast at Ayu Café in the early morning. Besides that, Secret Recipe, donuts shop, and Domino are available at ground level. The function hall is big. 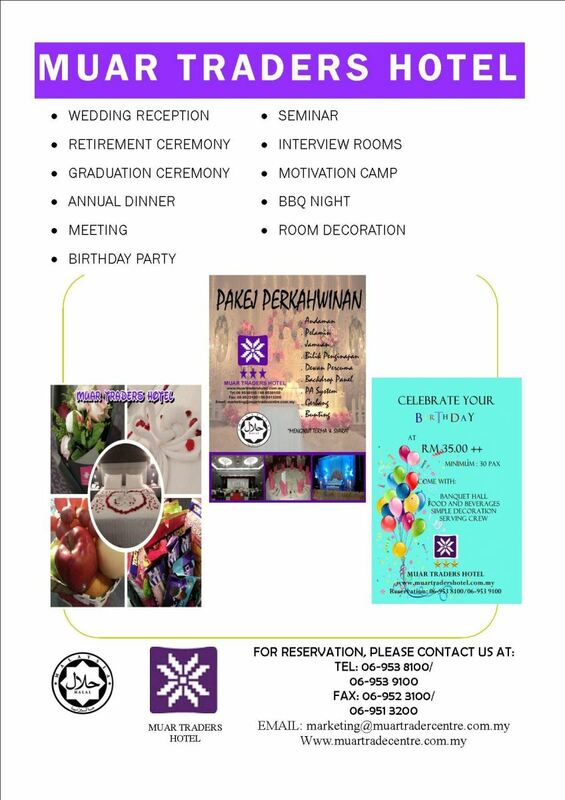 Whether it’s a meeting or wedding, our cozy banquet rooms will promise all your need for a successful event. Reserve the tallest hotel in the town now!